The top-seeded ’76-’77 Montreal Canadiens have really displayed some great offense over their two appearances in the Ultimate NHL Playoff. However, what they did here was win with defense, as well. The 16th-seeded ’02-’03 Dallas Stars were only able to average 17.6 shots on goal per game. 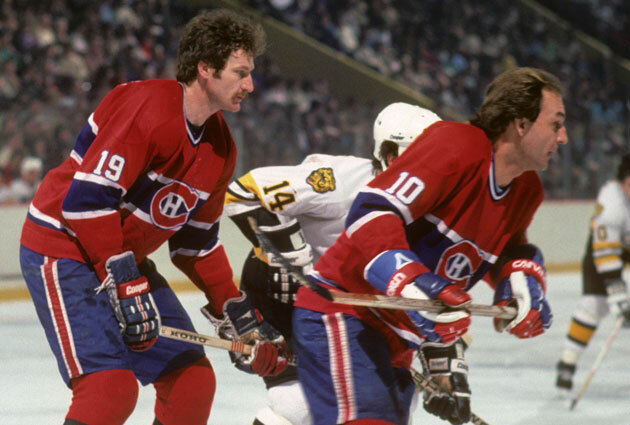 As the title suggests, the offense for Montreal was led by defenseman Larry Robinson. He finished the series with 10 points while his fellow defenseman Guy Lapointe was second with seven points. Steve Shutt was the third and final Canadien average at least a point per game with his six points. Shutt did lead Montreal in goal scoring with four while Guy Lafleur was right behind him in second with three goals. Robinson and Bob Gainey were the only other Canadiens to score more than once in the series with their two goals apiece. Robinson and Lapointe were the top two playmakers as well for Montreal with eight and six assists, respectively. In goal, Ken Dryden was not busy whatsoever. However, he wasn’t all that great when he did have work to do. He posted a 4-0-1 record with a 1.60 goals against, but also a subpar .909 save percentage. This was a series to forget about for the Stars and more specifically, their offense. Mike Modano finished as their leading scorer with five points while his longtime teammate, Jere Lehtinen, was second with four points. Only five other players for Dallas registered more than one point, including Bill Guerin and defensemen Darryl Sydor and Sergei Zubov. Only five players scored a goal for Dallas and only Modano and Lehtinen scored more than once with three and two goals, respectively. Sydor and fellow defenseman Derian Hatcher and Brenden Morrow were responsible for the other three goals. There was a five-way tie for the team lead in assists at two, which included Guerin, Modano and Lehtinen. Only four other players tallied an assist for the Stars, which included Jason Arnott, Morrow and Pierre Turgeon. Goaltender Marty Turco was behind the 8-ball really from the get go as his team provided him no offensive support. He finished the series with a 1-4-0 record to go along with a 3.40 goals against average and a .903 save percentage. The ’76-’77 Canadiens are in their second Ultimate NHL Playoff after missing out on the tourney last year. However, in their appearance in the inaugural UNP, they won it all and they are looking to keep the UNP Championship with the franchise as last year’s representative won it all as well. In the Quarterfinal, the ’76-’77 Canadiens will face either the 24th-seeded ’84-’85 Capitals or the 25th-seeded ’09-’10 San Jose Sharks. For the third year in a row the ’02-’03 Stars are representing the Dallas franchise in the UNP and for the third year in a row the ’02-’03 Stars have been eliminated in the Third Round. Also, for the second year in a row, they have been eliminated by the top seed. Up next in the Third Round, the 6th-seeded ’82-’83 Edmonton Oilers face the 22nd-seeded ’09-’10 Vancouver Canucks! This entry was posted in 3rd Round, Ultimate NHL Playoff, Uncategorized and tagged Bill Guerin, Bob Gainey, Brenden Morrow, Dallas Stars, Darryl Sydor, Derian Hatcher, Guy Lafleur, Guy Lapointe, Jacques Lemaire, Jason Arnott, Jere Lehtinen, Ken Dryden, Larry Robinson, Marty Turco, Mike Modano, Montreal Canadiens, Murray Wilson, Pierre Turgeon, Rejean Houle, Sergei Zubov, Steve Shutt, Third Round, Ultimate NHL Playoff, Yvan Cournoyer. Bookmark the permalink.